Don't worry about breaking and dishes on the boat with this great nautical Mepal set! 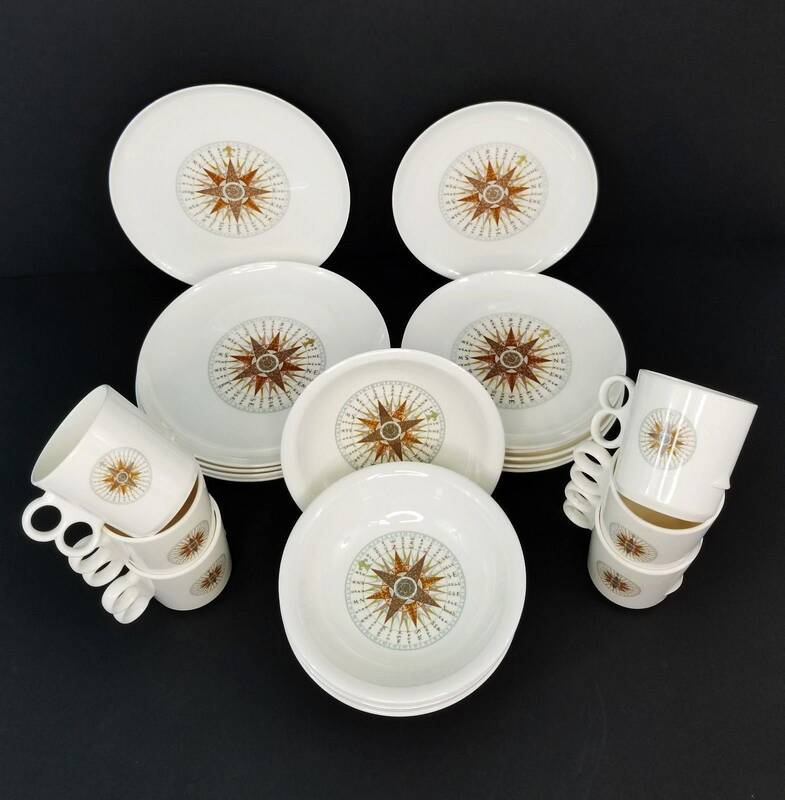 The set includes 24 pieces, service for 6. 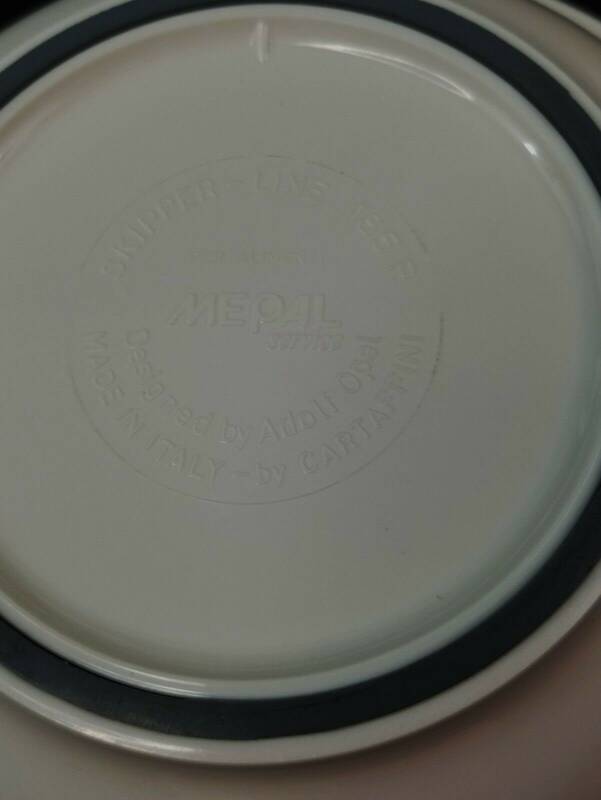 Includes bowls, dinner plates, salad plates and mugs. 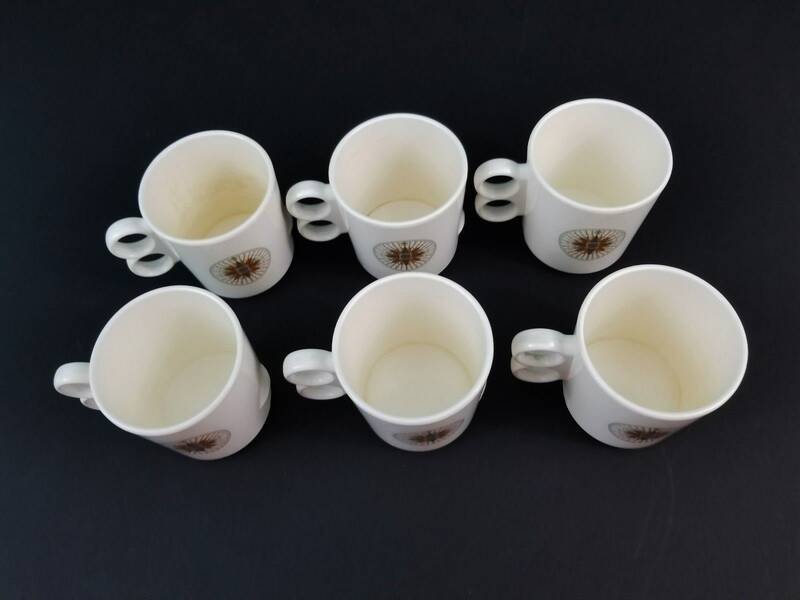 All are in good used condition, mugs have light staining from coffee. See photos for details.